Well, my name is Dr. Herbert Ausubel. I am an American trained at Harvard Medical School. I trained in history before I entered Harvard Medical School and in fact I taught a course on African history. Helped pay my tuition. 1967, I was in the practice of medicine. I had completed my internship residency and fellowships and served two years as a medical officer with the third marine division in the Far East and so I was in my earliest stages in private practice. Based here in Long Island in Valley Stream. Well to start with, cause I remember when Nigeria became an independent country and the three largest tribes in Nigeria were the Igbo in the southeast of Nigeria for the most part, the Yoruba in the southwest of Nigeria for the most part and the Hausa in the north. Now, when it became independent, the Hausa being the most violent of the tribes and Muslim, the president [Tafawa Balewa] came the Hausa tribe and there was a significant amount of corruption as there are in many countries. Igbos had more political sense. I shouldn’t say political sense, more economic sense. They were very good at adapting to the ways of the Europeans in terms of learning how to use, even computers, in the early stages and learning how to handle business and so Igbos very often traveled and set up little places in other parts of the country including in the north and including in the area occupied by the Yoruba and so there were many hundreds of thousands if not- a couple of millions of small business men who were Igbo just as Jews very often, in our experience, ended up in business and different places and different countries. And as I said there was certain amount of corruption in government as there are in many countries and so there was a revolt, a palace revolt in which the president, who was Hausa, was killed and in revenge the Hausa proceeded to slaughter tens of thousands of Igbo who were small business men and so forth in different areas and so survivors fled back to the homeland which was in the southeast of Nigeria. I read the newspapers from cover to cover and I listened to the radio. It wasn’t major television yet at that time and being one who pays careful attention to world affairs, in all parts of the world, I’ll give you an example. When I was a child of six or seven, I could draw you the map of every country in the world and describe the peoples who lived there. So I was not the typical child. I knew more about the history of the world when I was six years old than most political leaders know today. So I knew a great deal about Nigeria which after all was the most populous country in Africa by far. I remember the details of what I learned about it but I don’t remember the individual reporters who describe things. And then of course I learned from patients who came to my office who had fled Nigeria. I had this one patient describing to me how she had hidden and her entire family was butchered. She was the sole survivor, just like a Jew who’s the sole survivor of the whole family that’d been slaughtered in the Holocaust. It was a couple of years because she already come to the United States. A couple years later she’s describing vividly her recollections and I–see, when I practice medicine I like to think of my patients as human beings and I like to share experiences with them so this is why I don’t take care of forty, fifty people a day. I spend time with each person. 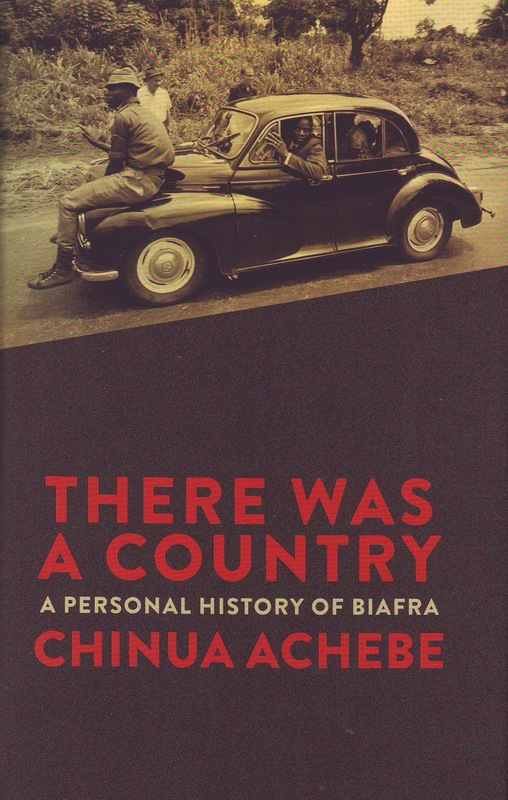 [From what I read in the papers and heard on the radio], well, the general who led the battle against the state of Biafra, the reason why they started the state of Biafra is they had felt that they had been slaughtered everywhere else. There was actually some oil in that province which could help sustain them and they would have a separate state where they could defend themselves against the slaughter. The general led the battle against them was General Gowon. Ironically, he came from the north and ironically was a Christian which there were not too many of in the north. And so he led the battle and he later on in life felt badly about the fact that they’d probably killed two million Igbos. Most of them were killed by starvation. Very often they [the American media] didn’t go into any detail on it [the 1966 coup]. I learned more of this in terms of the individual experiences from a goodly number of patients who I’ve had over the years who came from Nigeria and how vividly they described the slaughters that had taken place. And as I said, I tend to connect with people. I also tell them the story of my people since I view myself as sort of an ambassador for my people, not that I derive any financial gain from it. No. All this will one be called before the good lord. And I don’t have to show my bank account as a means of getting into God’s good chamber. Good deeds is what counts. And so I’ve always identified with people who have suffered prosecution just as my people have suffered prosecution. I wasn’t involved in any marches in the streets. I did march in the streets against the Holocaust, although I would tell you that my family worked actively- sometime if you’d like I’ll tell you how my family worked actively for the survival of the Jewish people- but I have always identified with people who’d been prosecuted. In fact, if you want to know, five of the eight NAACP in the United States were Jews. Jews have been prosecuted, felt an obligation to help all those others who’d been prosecuted. [In New York] I didn’t see any marches in the streets [to protest the war in Nigeria] or anything like that. No. Oh, starvation was a big factor. 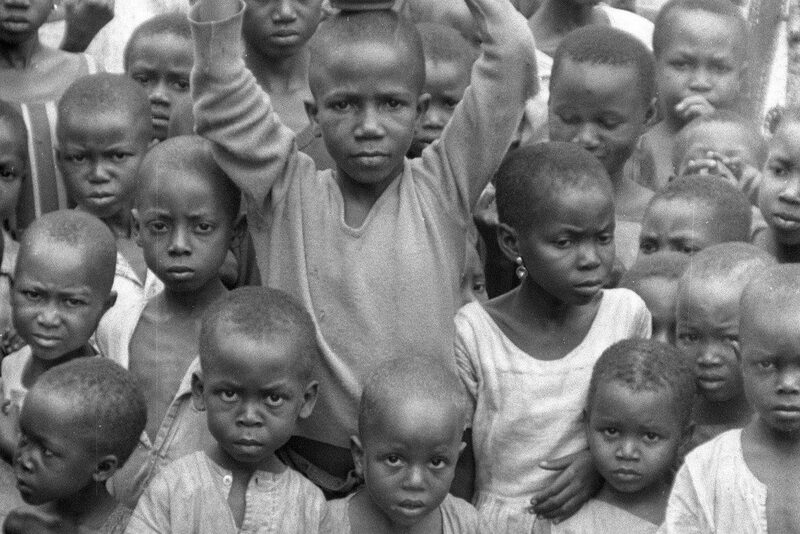 Probably more Igbos were killed by starvation than any other means. There were reports about people starving and General Gowon leading the battle to crush them by cutting off their food supplies and then by troops going in and actually killing tens of thousands of people. 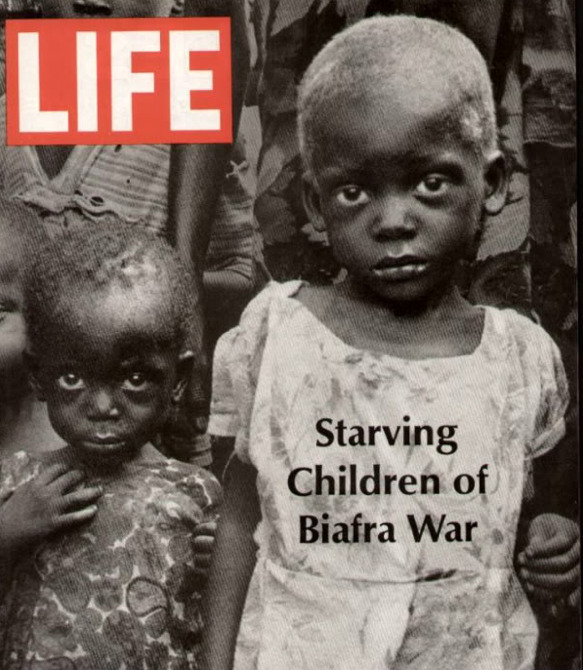 I probably did [see that famous Life Magazine July 1968 cover of the Biafran children]. Yes. Yes, I tend to speak to Jews and other groups about my opinions on things. I haven’t been involved in politics in this country. Many of the people in Hollywood may not necessarily agree with me on my opinions on these things but I’ve been a strong believer in civil rights and in not having people undergo horrific prosecution. The moral of teaching of my writing is those who wrong is done serve as accomplices to the wrong doing. I expressed my opinion to people. I didn’t march in the streets and I didn’t go to Washington to talk to politicians. Not that they would listen to me. But I’ve always expressed my opinions to everyone I see. For example, many people who were not Nigerians were not Igbo, I would express the horror of what was going on there. That in the richest country in Africa in terms of oil resources and so forth, that people were being slaughtered much as the Jews were slaughtered. See I always used the comparison of the Jews being slaughtered in the Holocaust. Why? There were Jewish business men and, of course, not every Jew is a business man. There were plenty of laborers. But when they slaughtered, they slaughtered indiscriminately not that there’s any right to slaughter someone because he’s a businessman. No more than there was a right to slaughter Igbo who had gone to the North or to other areas and opened small businesses. They were just trying to earn a living and I would do the comparison of the Igbo and the Jewish experience in Europe. Generally, favorably [people responded]. Of course there are those who may not like my having all this discussion. They came there for here for their cough and stuffed nose and they really didn’t want to have my political opinions so they may end up not coming to me anymore maybe because I talk too much. But most people took something away from me. [For] most of them [the people I talked to about what was happening in Nigeria] this was new, new information. 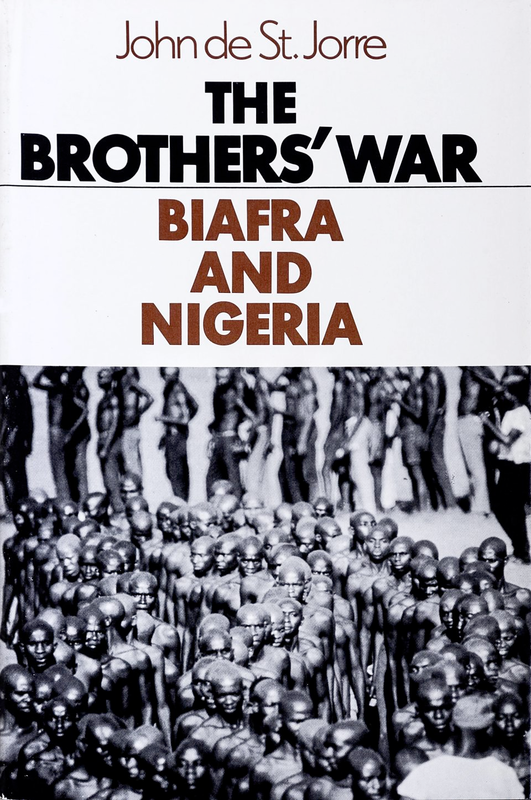 [The Nigerian Biafran War was not on the front of the news headlines] I would say that that is true. Yes. Yeah, I knew it was headed for a terrible tragedy and the fact that the general leading it was a Christian, didn’t make any difference. It was the fact that the Igbo were being slaughtered and I identified with the Igbo as sort of the Jews of Nigeria. Actually they follow certain traditions in Judaism. As a matter of fact, there are, I’ve read few Igbos who become formally Jews. 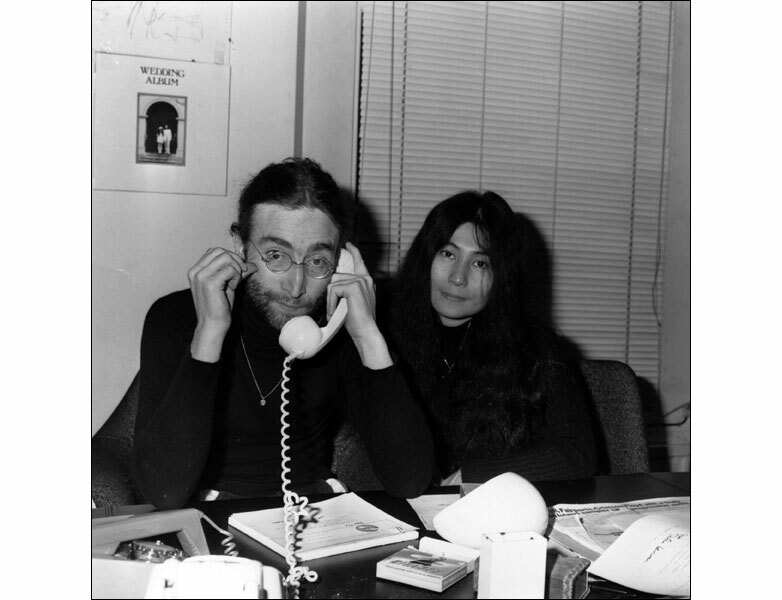 Well, I was happy that the war had ended [in January 1970] but I was hoping that it would not lead to the same disaster that had been with the Jewish population in Europe. A persistence of the slaughter when there was no more war. And the Jews in Europe were not revolting against Nazi Germany. I didn’t know [any medical doctors here who went to help in Nigeria or Biafra]. I didn’t consider it. My first consideration of course at the time has always been to help my family to get ahead. As I told you, I was not born to great wealth. I was born to poverty and I was determined from the time I got married to raise my family, to teach them good moral values, to have them excel as students which they did and to contribute to society…. I heard about them [programs to help Nigeria and Biafra]. I may have contributed a few dollars here and there but I’ve never been marching in the streets anywhere. When I was asked by an Igbo patient, I would just take money out of my pocket not make it a formal thing from my practice. I presumed it was to help the Igbo people and as for the accounting of where the money went. 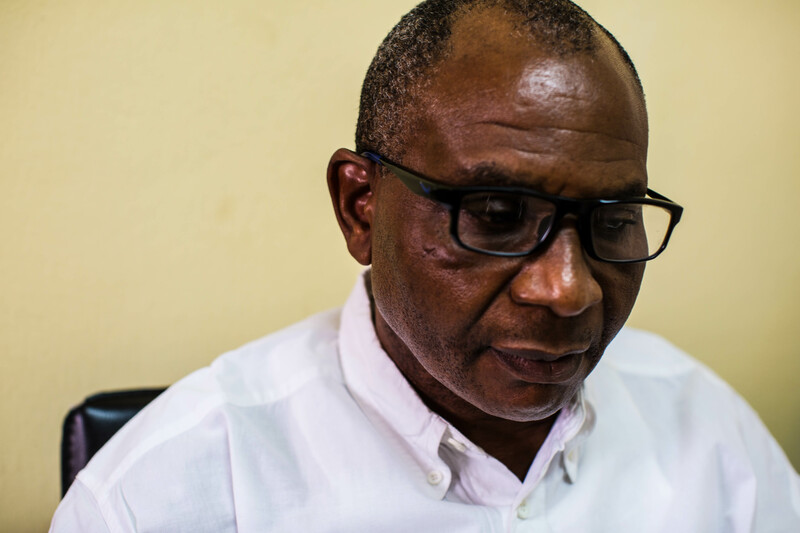 Support the succession–I felt that it would potentially end up with a tragedy because General Gowon was a pretty smart general and the army of the rest of the country was far larger than the army of the Igbos. The Igbos as I learned in history were never known as a great warrior people and the Hausa they are vicious fighters from what I had heard and I knew that there the potentiality for disaster. Also there were some tribes in the southeast who were not Igbo and they supported the government so they were doomed from outside and from inside. I think I heard about it [the self-immolation of Bruce Mayrock, a twenty-year old Columbia University student who set himself on fire in front of the United Nations building in New York to protest the Nigerian-Biafran War], yes, at the time. I recall bits here and there on the radio later on of course now on TV and individual articles, newspapers. Sometimes in magazines about it but I tried to keep up with events all over the world. I never met them [Biafran emissaries who came here to New York]. I recall many conversations with people who’d come from Nigeria.